I think it’s clear by now that if you want to delve into desserts, howtoshuckanoysterland is not your first port of call (if you’re a salt freak, on the other hand, come on down!) . Lucky for you then, sugar, that we have the Empress and her culinary meanderings around this city to bring some sweetness and light to this salty little land we call home. 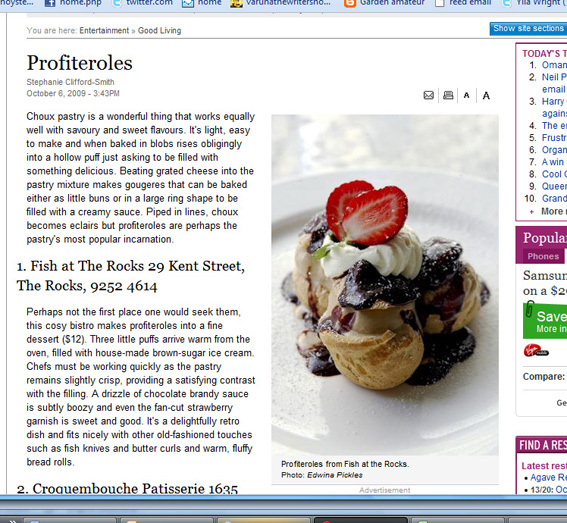 Steph’s last two columns for the SMH have been a sweet tooth’s heaven: first, she told you where a girl can find a profiterole to fiterole (! 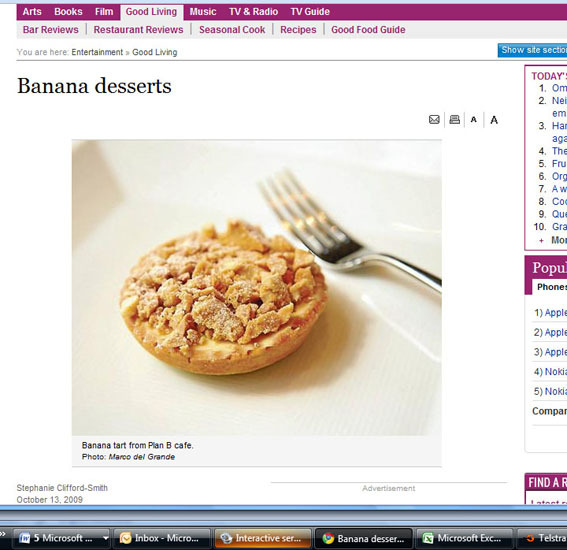 sorry bout that, chief) and second, this week’s column, on banana desserts. Yes, really. Apparently banana desserts are good. Cooked banana being one of the rare things I find quite repulsive, I’m not one to comment – but She Who Must Be Au Fait says these things are good, so I’m prepared to change my mind. Check out the yellow peril here. Don’t think you were rude at all, ThirdCat. The Empress is used to much more bolshy food arguments than this one, I believe … and I am with you on the hot banana and hot pineapple – ugh. Uncooked though, fab. I must say these chats have made me realise how many things I don’t like eating, despite priding myself on being an unfussy eater and being very snooty about adults who say “I don’t eat [insert food]”. Actually I must write something on this food aversion among grownups, I do find it fascinating. Mmm, as someone who likes banana desserts (especially banana caramel cobbler!) I will have to check out the column.